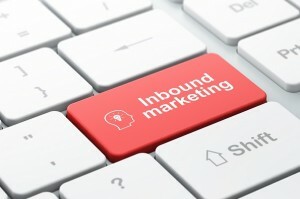 So what is inbound marketing, anyways? And how can it help orthopedic doctors grow a customer base for themselves and their practice? Inbound marketing, finds its strength in a methodology based upon letting the potential customers come to you. Before we get to the tips, it is important to understand how traditional “outbound” marketing is different from Inbound Marketing. The common practices you know run the gamut: buying ads on the TV or in print, buying email lists, and waiting for leads; these all are formats of outbound marketing. Think of outbound marketing as having an outward focus to try and hook potential customers. And then remember, the goal of inbound marketing is to draw people inwards to you. Know Your Goals: The key to any successful marketing campaign is having clear measurable goals. 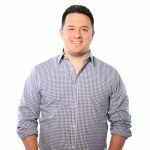 Before you go trying out all other sorts of inbound marketing tips for orthopedic doctors, make sure you have your goals firmly set, so you know which options are the best fit for your strategies. Know Your Industry: Research as much as you can to stay ahead of the curve in your industry and be sure that you are out-performing your competition in measurable goals. Know Your Customer: Confer with your sales and/or customer service representatives to know what your greatest strengths and weaknesses are, from the customer’s point of view. This knowledge equals power when you are able to boast your customer’s best reviews and also address their biggest concerns. Blogging: Called the “universal remote” of inbound marketing, a consistent blog with quality content is a sure-fire way to increase traffic to your website and build strong interest in your practice. If after reading these tips you are still unsure about how to get started on your inbound marketing campaign, let Farotech do the work for you. Contact us today for your free marketing assessment and let us show you what your company’s online presence is truly capable of. Your start to a fresh, quality marketing campaign could be just a click away!